"Compelling" - Daily Telegraph "Fascinating" - The Spectator The events that took place in Germany between 1919 and 1945 were dramatic and terrible but there were also moments of confusion, of doubt - of hope. How easy was it to know what was actually going on, to grasp the essence of National Socialism, to remain untouched by the propaganda or predict the Holocaust? 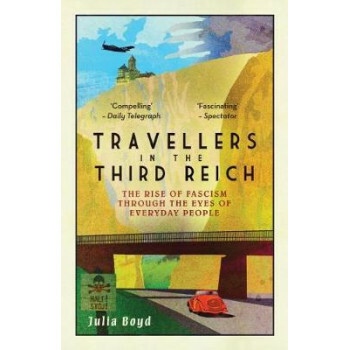 Travellers in the Third Reich is an extraordinary history of the rise of the Nazis based on fascinating first-hand accounts, drawing together a multitude of voices and stories, including students, politicians, musicians, diplomats, schoolchildren, communists, scholars, athletes, poets, journalists, fascists, artists, tourists, even celebrities like Charles Lindbergh and Samuel Beckett. Their experiences create a remarkable three dimensional picture of Germany under Hitler - one so palpable that the reader will feel, hear, even breathe the atmosphere. These are the accidental eyewitnesses to history. Disturbing, absurd, moving, and ranging from the deeply trivial to the deeply tragic, their tales give a fresh insight into the complexities of the Third Reich, its paradoxes and its ultimate destruction.